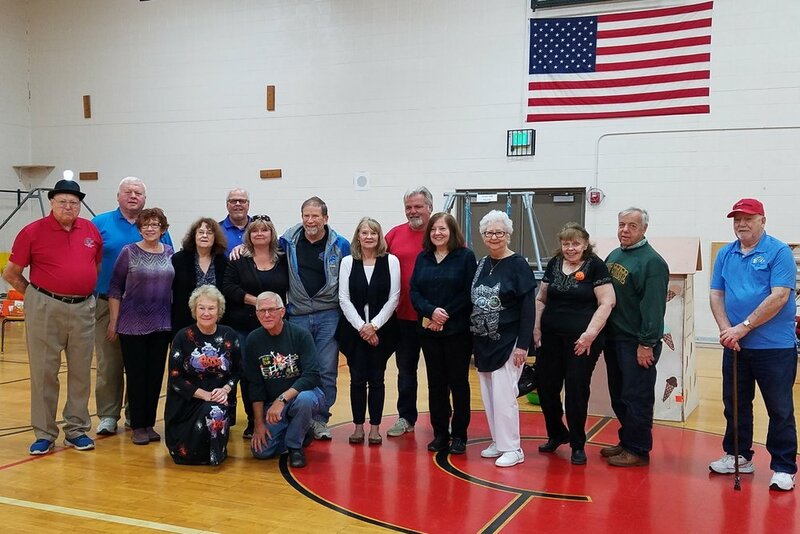 On October 28th, 2016, these fine Elks served "Trick or Treats" to 225 of our most special needs children at Cooke School in Northville, MI. 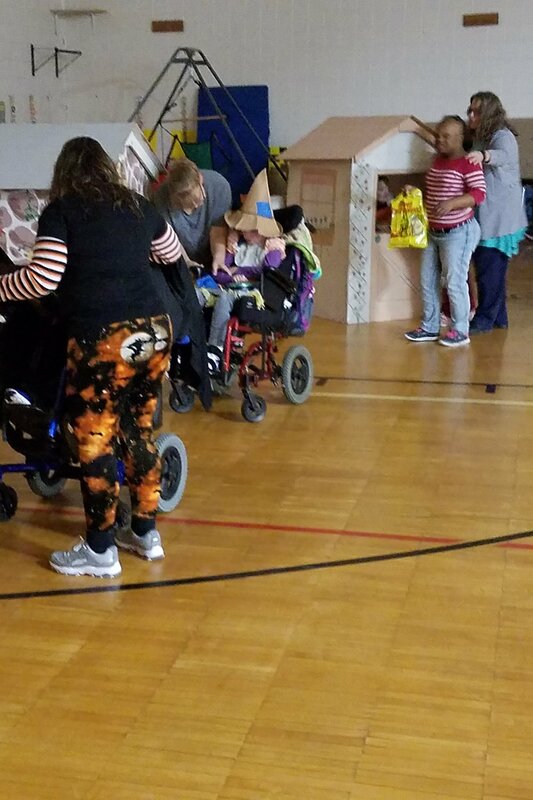 Our 9 portable houses provided a chance for these fine children to have that opportunity to go door to door and receive those most special treats that we all take for granted. 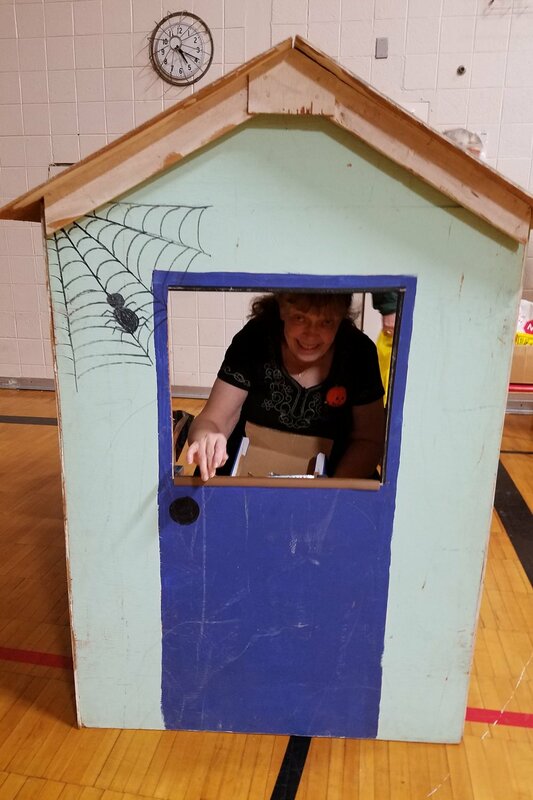 It is a very fulfilling day at Cooke School. 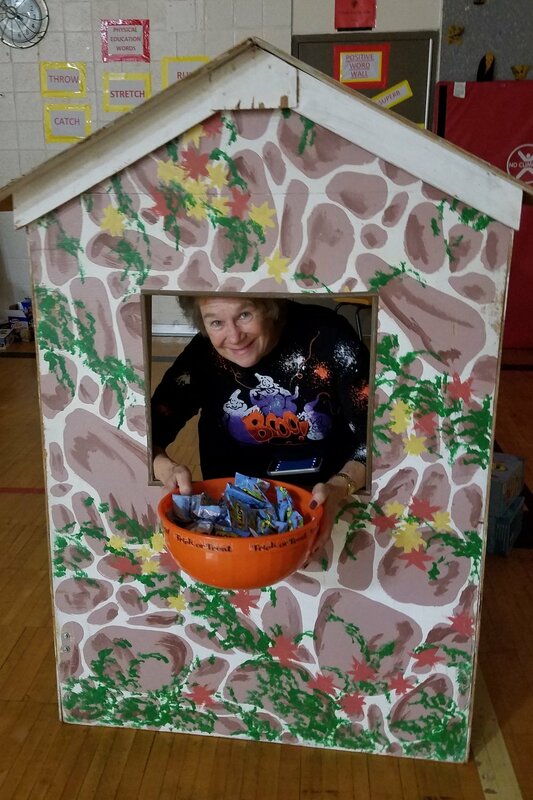 Our 12 volunteers handed out $713.00 worth of candy, of which $500 came from our grants provided buy the ENF dollars contributed by the members of Plymouth-Ann Arbor 325.